In a world where health and fitness tracking has become a regular part of our lives, Hygienie conceptually explores a tracking system meant for hygiene and bathroom habits. 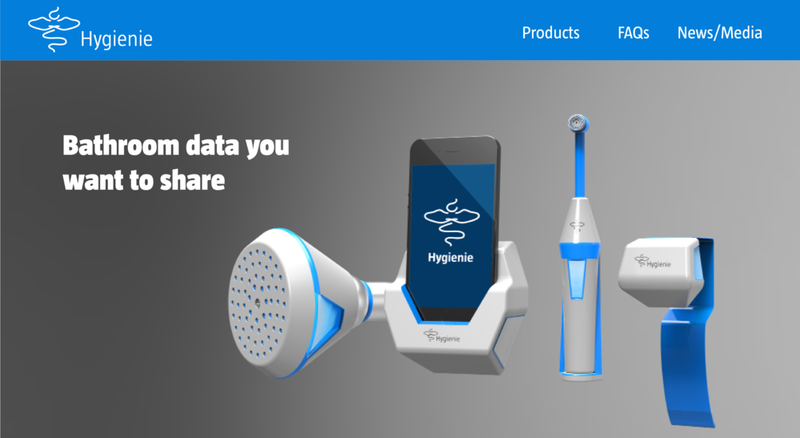 The Hygienie system is composed of a phone dock, toothbrush, showerhead, toilet device, and app that together track various aspects of the bathroom routine and give a user beneficial feedback about his or her health. The system’s implication on future health, privacy, and data management are explored on the “News/ Media” page, where various headlines have been created that depict what may result from this controversial system.